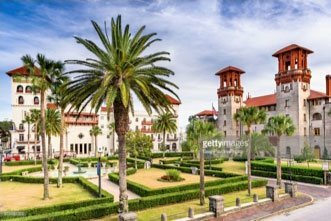 With over 400 years of exciting (and sometimes tragic) history, St. Augustine is an incredible destination for history buffs as well as ghost hunters. One of the most iconic sites in town that is said to be haunted is the St. Augustine lighthouse. Featured on national television shows and news articles, this famous attraction has brought dozens of visitors to the Nation’s Oldest City to discover its many secrets. Learn about the legends surrounding this spooky spot, as well as how you can experience the haunted St. Augustine lighthouse for yourself! If you’d like to find out some more of our favorite museums, historic sites, and other fascinating places to visit, access our free Vacation Guide! It’s never been easier to plan your trip to St. Augustine. During the day, visitors go to the St. Augustine Lighthouse and Maritime Museum to explore the grounds as well as the towers. Aside from the lighthouse itself, the grounds also feature the 1876 Keepers’ House and nature trails! The museum offers a Behind the Scenes Tour multiple times a day, which details St. Augustine lighthouse facts as well as the history of boatbuilding, and shipwreck archeology. For an up-close look, book the Exclusive Lens Room Tour, which showcases the impressive original 1874 Fresnel lens. It’s not available for the general public to view, so this is an extraordinary opportunity! The Sunset Moonrise Tour is another fantastic option. Once a month, guests can watch the sunset and the moon rise from the lighthouse tower. This special is often sold out for months in advance, and it’s no wonder why. You’ll get to see the greatest show put on by Mother Nature while enjoying complimentary champagne and hors-d’oeuvre. While visiting the lighthouse during the day might be fun for history buffs, visitors interested in the paranormal will want to take the Dark of the Moon Tour. During this guided tour, you’ll get the inside scoop on all of the mysteries and history of the St. Augustine Lighthouse. If you’d rather conduct your own paranormal investigation, you can skip the tour and have three hours of exploration time. Guests who book this option can rent EMF meters from the museums or (if you’re a serious ghost-hunter) you can bring your personal equipment. You’ll want to book this special way in advance, as spaces are limited and it books up fast! Do you think you’re brave enough to visit the haunted St. Augustine lighthouse? You’ll need a cozy place to spend the night, then. 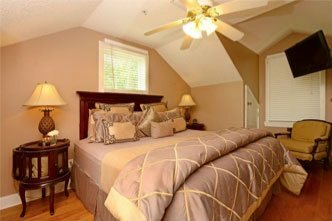 Book a room at Agustin Inn and enjoy a quiet evening of rest and relaxation. 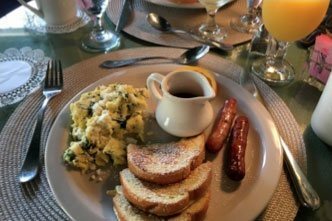 Our wonderful bed and breakfast has an outstanding selection of elegant, yet still comfortable guest rooms, convenient amenities, and a delicious daily breakfast! If you’re interested in enhancing your stay with us, check out our selection of specials and packages. Are you planning a romantic getaway? 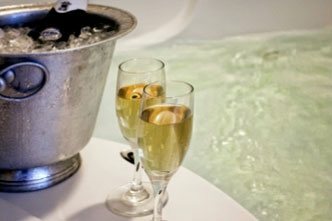 Add our Champagne Romance Package to your reservation. 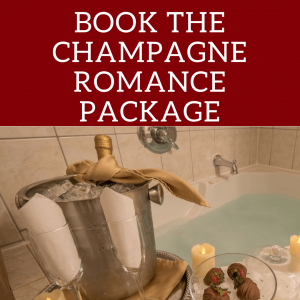 It includes one-dozen red roses, chocolate-covered strawberries, and complimentary champagne! Your loved one will be so impressed with the extra touch.